DES MOINES, Iowa (AP) — The Iowa attorney general’s office says Deere & Co. has agreed to pay $1 million for violating air quality standards at its Cedar Falls facility. A news release said Thursday that the Moline, Illinois-based heavy equipment company has agreed in a consent decree to annual third-party environmental audits for at least three years. They will continue until Deere receives two consecutive audits reports with few or no violations. The Iowa Natural Resources Department has said Deere didn’t comply with emissions limits at its Performance Engineering Center, operated without proper air quality permits in some cases and provided inaccurate information on compliance reports to the department from 2005 to 2016. Deere spokesman Ken Golden says problems arose from past errors in air permits issued in 2005 for the center’s engine test cells. He says that Deere took corrective actions and worked with Iowa officials toward the issuance of new permits after learning of the problems in late 2016. 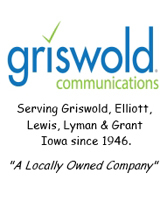 (Radio Iowa) — The Iowa Senate has given final legislative approval to the Iowa Hemp Act. The bill sets up a state licensing program for growers. If the governor — as expected — signs the bill into law, it will immediately become legal for Iowa retailers to SELL hemp-based products. “Allow the building of the infrastructure of this market now, so that when it comes time for our farmers to harvest their crops, there will be a robust demand and an outlook for industrial hemp.” That’s Reprsentative Jarad Klein of Keota, a farmer who worked on the legislation. Hemp has been banned for decades and the 2018 Farm Bill effectively legalized growing it again. Representative Mike Sexton of Rockwell City is urging caution, though, as planting hemp could make a farmer ineligible for crop insurance. “I wholeheartedly support this bill, but I just think it’s incumbent upon us to make sure we let Iowa farmers know: ‘Don’t rush right into this thing without checking wth the government agencies to make sure you don’t make yourself non-compliant,” Sexton says. The bill identifies two state agencies to oversee hemp growers, transporters and processors in the state. Iowa farmers would be allowed to grow up to 40 acres of hemp, starting in the 2020 growing season. Representative Jeff Shipley, a Republican from Fairfield, voted for the measure, but expressed some frustration. Forty-one other states already have an industrial hemp program in place. OMAHA, Neb. (AP) — Officials say late-winter moisture, flooding and low temperatures have delayed corn and other plantings in Nebraska and in some parts of Iowa. A U.S. Department of Agriculture report for the week ending Sunday says just 2% of the expected corn crop has been planted in Nebraska, compared with the five-year average of 8% by the date. Officials say 4% of the Iowa crop has been planted, compared with the 10% averaged over the past five years. Nebraska oats planted was 30%, well short of the 72% average. The USDA says 48% of the expected Iowa oat crop has been planted, six days ahead of last year’s pace but five days behind the average pace over the past five years. Associate Nebraska climatologist Al Dutcher told The Grand Island Independent that the spring flooding is still affecting ag producers. There will be a free tulip dig day announced later in May where anyone is welcome to dig up bulbs from the city beds, under specific guidelines, for their own gardens. 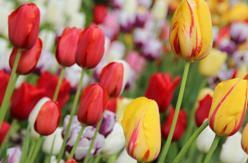 Some bulbs produce flowers three or four years in a row while others will continue to bloom for much longer. The Cass County Conservation Board is sponsoring a Wildflower Walk this Saturday (April 27). The program will be held at the Pellett Memorial Woods north of Atlantic, just east of Olive Street, beginning at 9-a.m. The event is free. The Oak Strollers Nature Club for Families are welcome to join at this event! You’re invited to walk through the early spring wildflowers with Naturalist Lora Kanning, and learn the names, uses and history of the Wildflowers. Those in attendance will meet at Pellett Memorial Woods- located just outside of Atlantic, ½ mile north and ¾ mile east of the KJAN radio station. Iowa parks annually welcome about 24 million visitors, and State Economic Development Director Debi Durham says those visiting the parks give a boost to Iowa’s economy: “In Iowa, tourism is actually very big business. It’s an eight-point-five BILLION dollar industry sector for our state — which equates to about 500 million dollars in tax revenue, so it’s very important,” according to Durham. You may download the “Family Fun Guide” from the “99 Counties, 99 Parks” website to see what the parks have to offer. Many of the parks also include “selfie stands” where visitors can take photos and share their experiences on social media using: #ThisIsIowa or #99parks.